The Civic presents the area premieére of a new comedy about the tenacity of two elderly women and the dangerous game of one-upmanship they play. A sunny room on an upper floor is prime real estate in the Briston Place Senior Living Facility. Abby has always had a quiet room to herself on an upper floor. If a new roommate was assigned to the second bed, Abby - cantankerous and private - got them out quick! When Abby is forced to share her quarters with new arrival Marilyn, she has no choice but to get rid of the infuriatingly enthusiastic, optimistic, chipper woman by any means necessary. A seemingly harmless bet reveals not only the tenacity of these worthy opponents, but also deeper truths that each would rather remain hidden, and an all-out war of comic proportions. 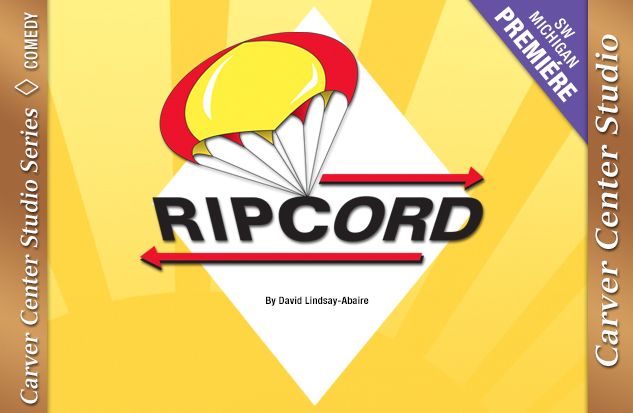 "Lindsay-Abaire packs his parachute with perfection, making sure that pulling the cord releases an abundance of laughs, life, and love." There are no special advisements or warnings for this production. Available after 6 pm in the Civic parking lot at the northeast corner of Lovell and Park Streets. There is additional parking behind the Carver Center. Street parking is available after 5pm.